On the left is the new firefall,. On the right is a version of the old one. 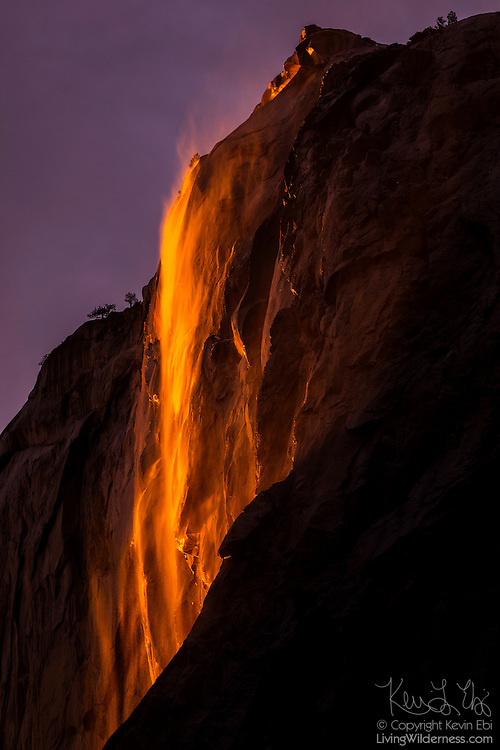 No, this is Horsetail Falls near El Capitan which turn a deep orange right at sunset if conditions are perfect for a few days in February. It's become such a major tourist attraction that last year the valley was inundated by cars and tourists hoping to get that "once in a lifetime shot" of something that happens every year, more or less,. So now there is a reservation system for parking anywhere near the best spots to take this photo, with a limit of 250 people per day. It's just another example of how Yosemite is in a constant struggle to save itself from being loved to death.